Empires premiered in 1966 in the Empire State of New York. They are a cross between Red Delicious and McIntosh developed by the New York State Agricultural Experiment Station at Cornell University. This crisp, juicy apple has a delightful sweet-tart flavor and creamy white flesh, making it a good all-purpose apple. Stake out your Empire between September and July. Empire apples are harvested in late September. 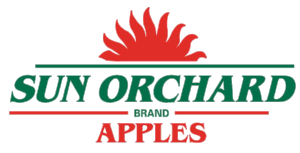 You can find Sun Orchard Empires in retailers September through October.